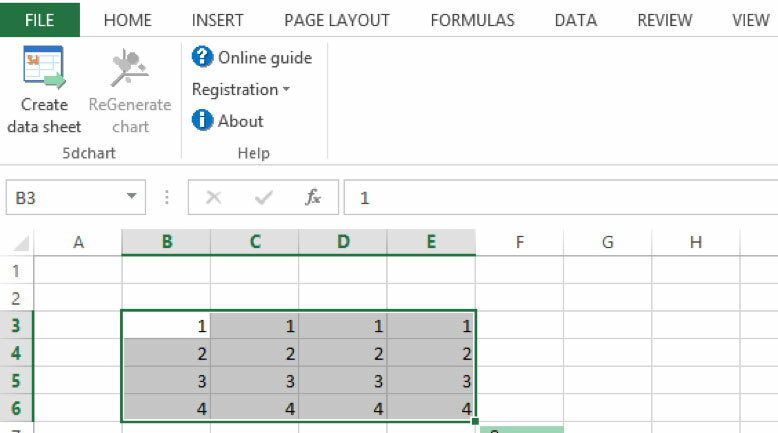 Welcome to the quick start guide for the 5dchart Add-In for Microsoft Office Excel. Select four continuous rows of data and press “Create data sheet”. 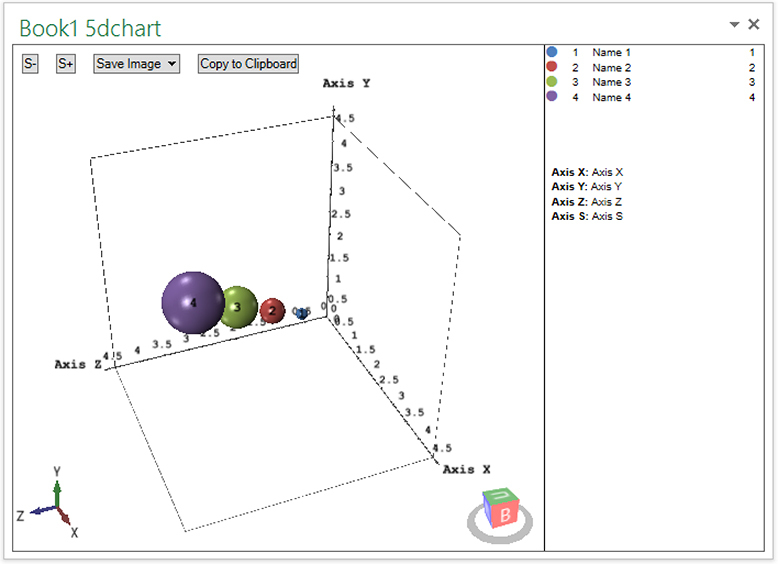 The data sheet is created automatically and contains all the settings for customizing the appearance of the chart. Please note that data on the datasheet is linked to the initial data, so you don’t need to change it twice. You can have multiple charts and corresponding data sheets for a single portion of the data. See the table below for a description of all the fields in the data sheet. Create a chart by pressing “ReGenerate chart”. Adjust the scale of the bubbles using the S- and S+ buttons. Copy the chart image to the clipboard by clicking the “Copy to clipboard” button. Saving the chart image in higher resolutions that are needed for printing is only possible in the purchased version of this add-in. Click “Save image” and choose needed DPI. You can copy data from the legend and paste it into your presentation or any other document. The camera position and small chart thumbnail are saved to the data sheet automatically. YZ pane visible Enable/disable axis panes visibility. Background color Define the background colour of the resulting chart. Up direction X, Up direction Y, Up direction Z These cells store data on the last camera position. Length factor Length factor of the axis.